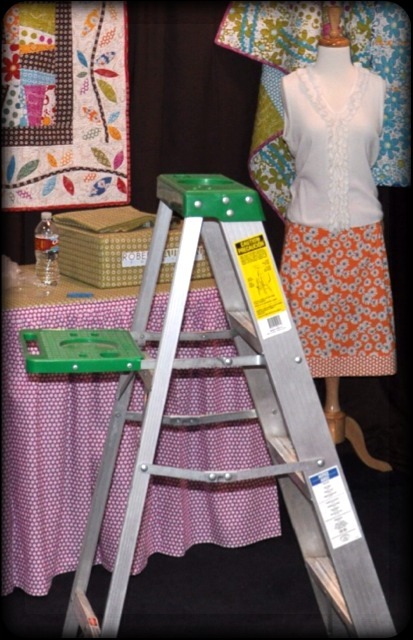 Having a booth at quilt market is really nice – we get to re-connect with old friends and make new ones. It’s a time to see what’s new in the quilt world. There is, however, some work involved. 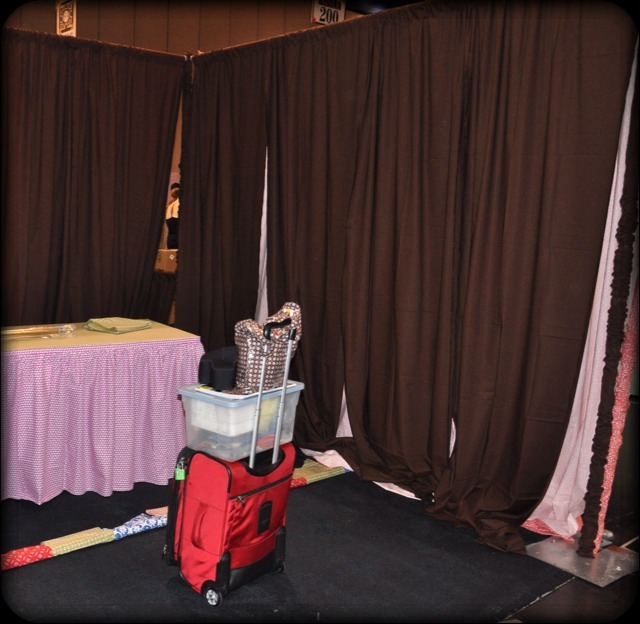 This is what our booth looked like when we arrived. The very wonderful folks from Robert Kaufman had already hung our drapes and dressed our table! We got a lot done today and I’m not sure how much I can show, but here’s a look at the booth in progress. I’ll be back with more tomorrow! Looks so sunny, happy and cheerful!